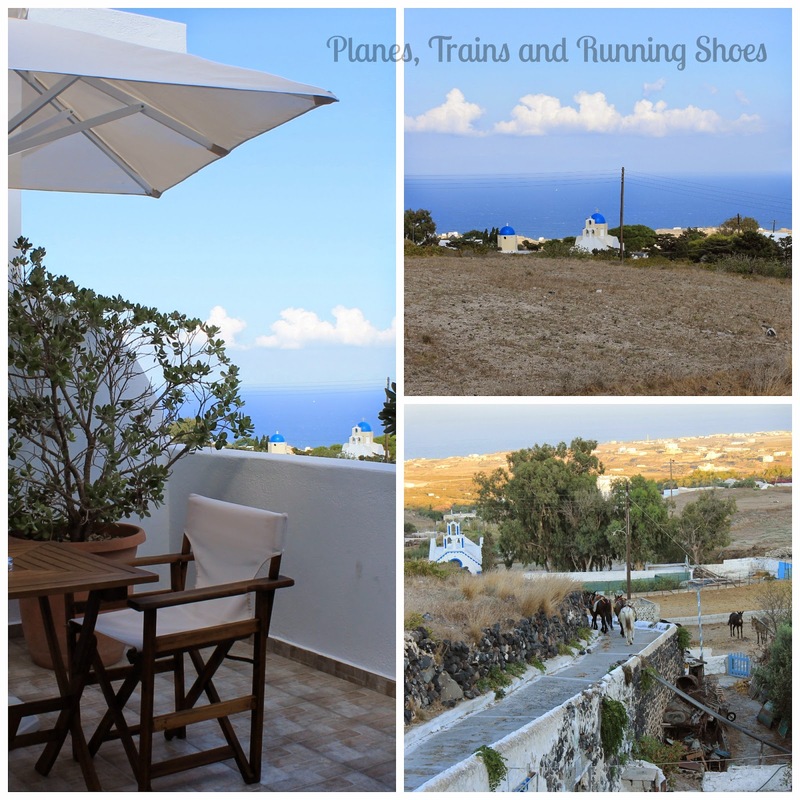 When The Pilot and I started planning our trip to Greece, we knew we wanted to go to Santorini. There were a few other islands we were interested in, but Santorini was at the top of our list. We woke us in Athens at 5am on Thursday and made our way to the port to catch our ferry. Boarding was pretty seamless and before we had even taken off left port, I had fallen asleep. 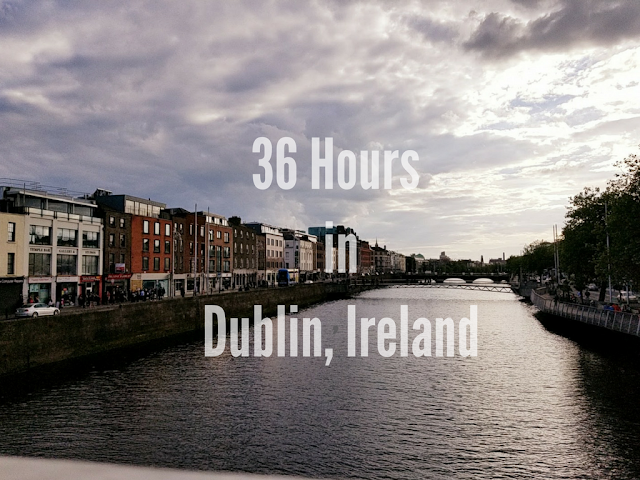 We took a high-speed ferry which took about 4 1/2 hours. I slept the entire way. When we docked in Santorini, the port was absolute chaos. We were staying in the town of Fira and found the bus that was headed toward Fira, about a 20 minute ride away. Once we got there, we had a really hard time finding our hotel. Not that it was particularly hard to find, but that we couldn't find anyone to give us clear directions. We ended up walking into another hotel where they generously gave us a ride to where we were staying. The view from our hotel balcony, complete with donkeys! Once we finally checked in, we were ecstatic with our hotel choice. It was perfect. We took some time to settle in and then headed out to grab lunch and explore Fira. Fira had quaint, narrow streets and abundance of shops and restaurants. I was surprised to see that almost all of the shops were souvenir shops and jewelry shops though, and that the town was almost exclusively tourists. We had dinner at a famous wine bar, with decent food and a spectacular view. (See above). The next morning, we got up and hopped on a bus to Perissa Beach (about 20 minutes from Fira). Air-conditioned coach buses are the primary way to get around Santorini and the bus stations are chaotic, but somehow manage to work. 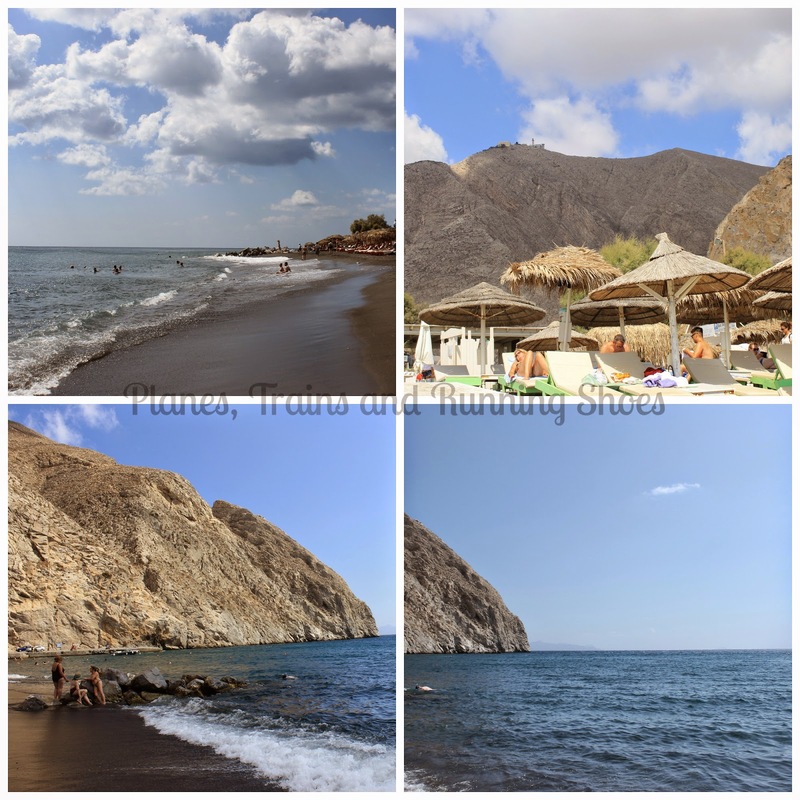 Perissa is famous for its black sand beaches. We spent about half the day lounging around the beach, eating gelato and finally relaxing after spending the last few days bouncing around from Paris to Athens and then Santorini. The water was really cold and it was pretty windy, so we just spent the day sun bathing. After spending half the day in Perissa, we headed back to our hotel to freshen up before making our way to Oia, where the sunsets are supposed to be the most beautiful. Oia was gorgeous. I immediately loved that the shops seemed to cater less to tourists than those of Fira and that the city just seemed a bit more cultured. That said, it got more and more crowded by the minute. We perused the shops, and found a book store that I could have spent hours in. 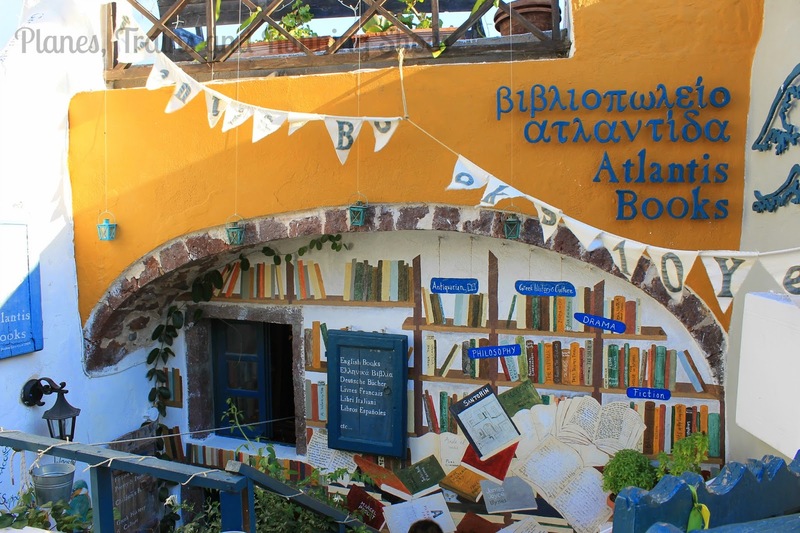 Atlantis was incredible and had first edition copies of such an amazing selection of books. I picked up a signed novel about Santorini that I still haven't started, but am really excited about. After spending time looking through the shelves of Atlantis, we made our way to see the sunsets. 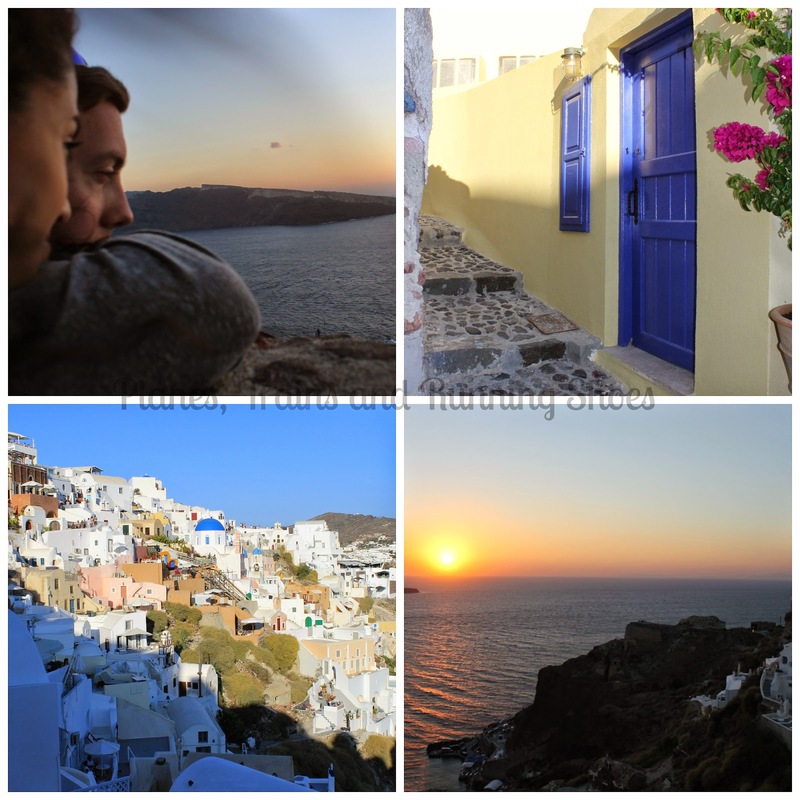 Clockwise from Top Left: Watching the sunset together (my favorite honeymoon picture), a street in Oia, the caldera cliffs of Oia, the famous Santorini sunset. With that, though, I'm going to wrap up this post because it's getting long and I'm getting tired! I'll be back tomorrow to share more sunset pictures, plus a bit more about our trip to Santorini! Beautiful! Love donkeys, so cute!